At its Ignite conference, the company said its collaboration tool is now used by 329,000 organizations, including 87 of the Fortune 100. Microsoft plans to retire its StaffHub app, replacing it with new schedule management features for shift workers in Teams, which the company touted as the fastest growing business app in its history. The Redmond, Wash. developer offered up a variety of Teams-related announcements at the Microsoft Ignite conference in Orlando, from tighter integrations between a wider portfolio of Office 365 collaboration tools to new admin features and updated customer adoption data. Launched at the start of last year, StaffHub was designed to let managers set schedules for employees through a simple interface. Employees could also use the service – available to Office3 65 subscribers – to swap shifts and chat with one another. It is being replaced by two new features within Teams: Home and Shifts. As a result, the StaffHub mobile app will be unavailable for download after April 1, 2019 and will stop functioning for all users on Oct.1, 2019. Home lets frontline workers clock in and out of shifts or breaks, receive important notes, and find out who is working on a given day. Shifts allows managers to create, update and distribute schedules within Teams, as well as review and accept employee time-off requests and shift swaps. Both features are targeted at frontline workers in industries such as retail and hospitality, rather than knowledge workers typically served by collaboration tools. The potential market is big: deskless employees account for 80% of the workforce, or around 2.6 billion workers worldwide, Microsoft said. It is a market that has been a core focus of other collaboration software vendors including Facebook’s Workplace and communication app Zinc. This is not the first time that Microsoft has targeted specific sectors with Teams. 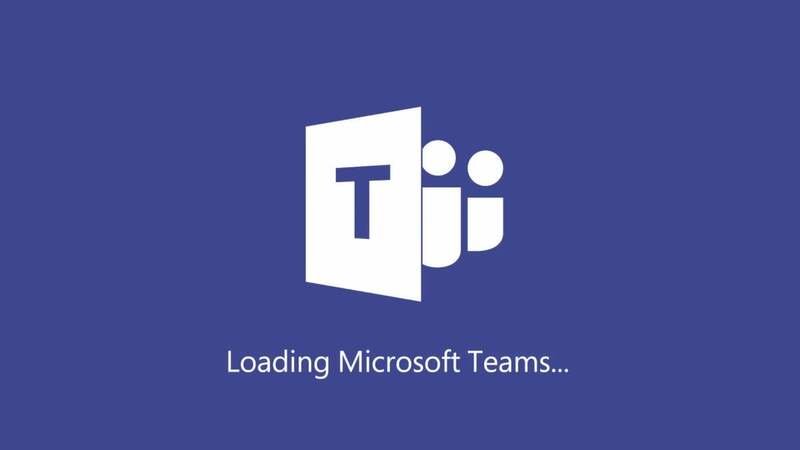 Last year, Microsoft launched Teams for Education, which streamlined workflows for teachers and students, replacing the Classroom app then in public preview. Also at Ignite, Microsoft revealed HIPAA-compliant messaging capabilities for healthcare professionals, enabling clinicians to communicate about patients securely via Teams. That includes the ability to capture images, annotate them and share them securely – and IT admins can set policies to prevent any of the images from being stored improperly. Image annotation is generally available now; priority notifications that alert recipients to urgent messages will be rolled out to paid Teams users by the end of this year. In addition, Microsoft plans to integrate Teams directly into electronic health record [EHR] systems as part of a public preview. Nevertheless, he noted that the two-year lifespan of StaffHub from preview to retirement could leave some IT managers wary of rolling out new Office 365 features too soon. The move to replace StaffHub with functions within Teams is the latest move by Microsoft to position its collaboration tools as the central hub for communication and teamwork in Office 365. At last year’s Ignite, Microsoft announced that Teams would replace Skype for Business as the main communications tool, with video capabilities integrated into the chat app. The company also launched a free version of the software in July to entice more users in what’s become an intensely competitive team collaboration application market. The company also touted the latest adoption details for Teams, which was launched in 2016 as a rival to Slack. Microsoft said more than 329,000 organizations now use the application, up from 200,000 earlier this year and 125,000 a year ago. “That is about twice the rate [of growth] that we see from Slack,” said Frank Shaw, Microsoft’s corporate vice president of communications, in a news pre-briefing. Microsoft pointed to numerous large-scale deployments. There are now 54 companies with more than 10,000 monthly active users on the platform - BP, Honeywell and Hitachi among them. Consulting giant Accenture is the first Teams deployment to pass the 100,000-user mark. Microsoft, however, declined to provide total daily and monthly active user figures for Teams. Slack has eight million daily active users, according to its latest figures, a number that includes three million paid users. It has 150 customers on its Enterprise Grid product, among them Capital One, Target, 21st Century Fox and Condé Nast and IBM, its largest deployment with over 110,000 users. Teams this week also gains artificial intelligence (AI) tools first unveiled a year ago – cloud transcription and video background blur among them– along with deeper connections to the wider portfolio of Microsoft tools. “There has been a huge focus across the Office 365 platform to bring product integration into Teams,” said Alan Lepofsky, vice president and principal analyst at Constellation Research. This includes improved access to SharePoint document libraries from within Teams. “You'll be able to create custom views, pin files to the top, add and format custom columns, and gain insights into file activities,” Jeff Teper, corporate vice president for Microsoft Office, said in a blog post. A new Yammer tab will launch next year to bridge the gap between small group collaboration efforts and wider corporate communities, allowing workers to follow and share Yammer conversations without leaving Teams. The feature will make sense for product teams wanting to gather feedback from a large pool of staffers while working on product development in Teams, for instance, Microsoft said. “The communities that are formed in Yammer serve as an ideal front door for teams to communicate out to and get feedback from the broader organization,” Angus Florance, head of Yammer product marketing, noted in a blog post. Also added to Teams’ list of third-party apps: integrations with ServiceNow, Bentley, ADP Autodesk, among others. And a data loss prevention (DLP) tool lets users identify, monitor and protect sensitive information such as credit card numbers posted in Teams chats.